For the past couple of months, I’ve really enjoyed using Alexa, thanks to a Christmas gift of a new Amazon Echo. With remarkably good voice recognition, even in a noisy room, Alexa plays music, checks the weather, hails an Uber ride, and adds items to a shopping list. Bonus: tells bad jokes. And that just scratches the surface. Alexa now has over 10,000 skills and Amazon is making it easy for developers to add new voice experiences. Thankfully, coming soon will be the ability to integrate with our family’s Sonos sound system. While apps are great, it’s sooooo much easier to just say: “Play my favorite music.” And don’t get me started on cable TV, with a controller so complicated only millennials could use it… if they watched TV. This is a simple consumer example of why “artificial intelligence” or AI is coming of age. One element is understanding input in a natural way via voice, text, gestures, even facial recognition. This is not new technology by any means: natural language processing (NLP) is decades old, with a wide array of text- and speech-analytics solutions commercially available. What is Artificial Intelligence? What Isn’t? This article will explore how artificial intelligence (AI) can improve Customer Experience Management (CXM). I call that Intelligent CXM or iCXM for short. Because, you know, the industry was running a bit low on buzzwords. 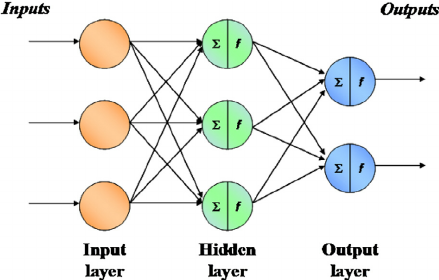 Artificial intelligence (AI) is intelligence exhibited by machines. In computer science, the field of AI research defines itself as the study of “intelligent agents”: any device that perceives its environment and takes actions that maximize its chance of success at some goal. Colloquially, the term “artificial intelligence” is applied when a machine mimics “cognitive” functions that humans associate with other human minds, such as “learning” and “problem solving” (known as Machine Learning). Based on my interviews, most everyone agrees that AI has become a buzzword that means using some kind of advanced analytics. 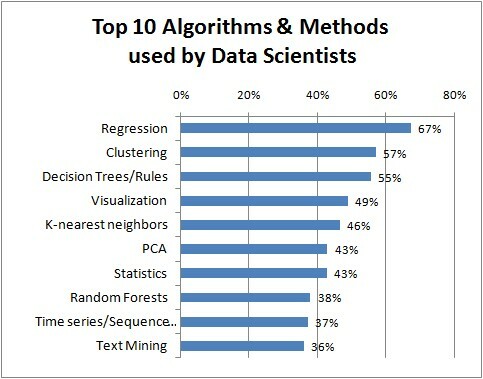 I think for business managers, “advanced” means anything beyond simple regression, which topped the list of top 10 algorithms and methods used by data scientists. Increasingly these, and many other algorithms, are becoming embedded in consumer and business applications to make them more useful and usable. Confusing the matter further are terms like “robotic process automation” or RPA, promoted by some contact center and process automation vendors. In this case, the “robot” is not all that smart. RPA is just a way of saying that a series of disconnected processes that previously had to be integrated by people can now be handled by computers. While it goes beyond simple process automation, there’s no real decision-making involved, because the rules are well-defined. Oded Karev, General Manager, NICE Advanced Process Automation, says we really should not attach the AI label to rules-based automation. Clear as mud? Read on, because my goal is to bring these abstract ideas to life with real applications. If AI is not really new, why all the interest now? If you credit marketing hype, you’re not completely wrong. AI is now being used as a differentiator in the same way that “social” was all the rage a few years ago. Anyone remember Social CRM? Didn’t think so. Now we’re in the early stage of an AI boom. I think within five years some form of AI will be embedded in most software applications, and “intelligence” will be an expected feature. Maybe sooner. Heck, if H&R Block can use AI to help prepare tax returns, why can’t it improve business applications like CRM? Servion goes so far as to predict that “AI will power 95% of customer interactions by 2025.” Given the fuzzy definition of AI, it’s hard to disagree. I could also predict that by 2025, 95% of software will include some kind of programming language. But AI is not one thing. 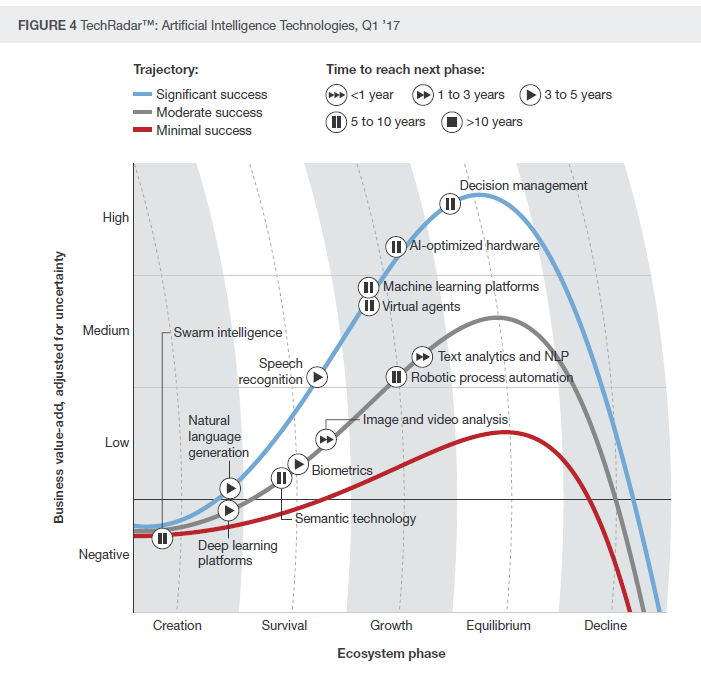 It’s actually a collection of more than a dozen different technologies, each at a different stage of adoption as shown in this Forrester chart. After conducting a couple dozen interviews in recent weeks, I think the explosion of AI interest boils down to four factors. Cloud-based applications. Now it’s relatively easy to launch a new application and take advantage of virtually unlimited computing power, at low cost. Thanks to Amazon AWS, Microsoft Azure, and other cloud infrastructure providers, along with the growth of microservices, developers can capitalize on rapid increases in computing power, storage, and communications. And AI needs lots of computing resources to work well. Marketing Hype. We should thank (or blame) IBM because it got the ball rolling with the Jeopardy challenge in 2011. The question answering machine named “Watson” is now a centerpiece of Big Blue’s strategy to promulgate the technology. Salesforce.com gave AI a big push last year with its “Einstein” initiative, and virtually all enterprise software companies are pushing AI messaging. Autonomous driving initiatives by Uber and others just adds to the media frenzy. The Customer Experience. Remember outsourcing? Do you like using an IVR? These are examples from the past decade of blindly pursuing cost savings without much concern for the customer experience and impact on long-term loyalty. The good news is that AI has matured to the point where it’s feasible to design experiences that deliver a good experience while also reducing costs and driving ROI. Business leaders must factor CX impact into decision making. Let’s take a broad look at three major opportunities for AI to improve CXM. My intent here is to illustrate that real solutions exist (or in a few cases are coming soon) that can have a positive impact on a) how customers perceive their experience and b) business results. In the CX world, “knowing” your customers has largely been translated into a) sending surveys or b) mining text and speech. For the most part, companies have used these insights to find and fix broken experiences, but not in a real-time manner. But there are many other ways to learn how customers perceive their experience. 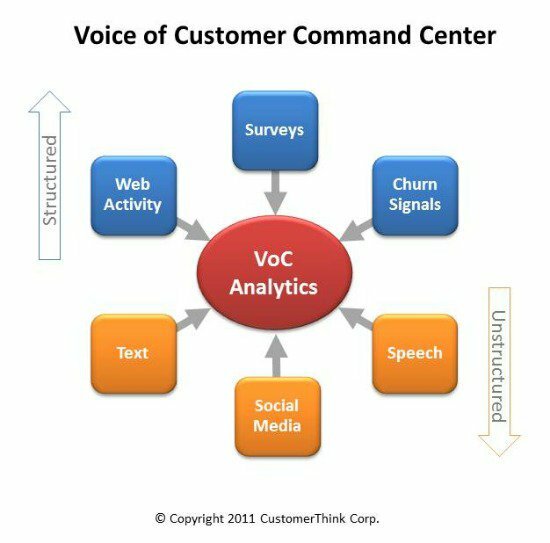 In 2011, I identified six major feedback dimensions in my article about a Voice of Customer Command Center. 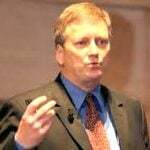 Bill Price’s column post Using Big Data to Build an Integrated VoC Program reveals 40 potential sources. 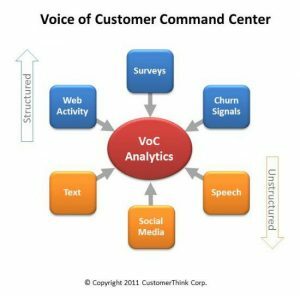 AI can help the VoC industry by mining a wide variety of structured and unstructured data, and by moving towards real-time analysis and alerts. 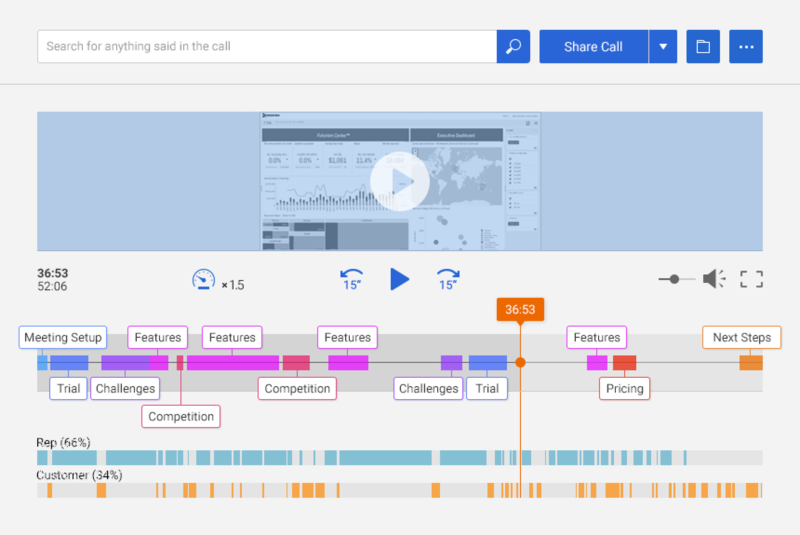 To that end, InMoment recently announced Discover, which analyzes unstructured feedback and identifies anomalies to enable (closer to) real-time action. JD Nyland, EVP Product at InMoment, describes Discover as an “always on” solution that surfaces “unknown unknowns” without the training that text analytics solutions require. For example, one large hotel brand was alerted to smoke complaints and able to quickly track it down to a ventilation problem. This is the sort of problem that, if not identified and fixed immediately, could end up as fodder on TripAdvisor or other social media sites. In Europe, Chattermill uses neural networks to gain insights from unstructured feedback. According to founder Mikhail Dubov, the company is focused on mid-sized companies that aren’t a good fit for big analytics vendors like IBM or SAS, or multi-function enterprise feedback (EFM) platforms offered by vendors such as Clarabridge or Medallia. By using “proprietory deep learning algorithms” the company claims it can extract actionable information much faster and at lower cost. At Hello Fresh, for example, Dubov says they were able to identify the aspects of the customer experience had the highest impact on NPS — a hugely valuable insight when each point of NPS is worth “thousands of pounds” in revenue. Let’s shift now to the digital experience, which has become critically important in the we-love-our-smartphone age. Canadian-based iPerceptions uses web surveys to add insights to web analytics (e.g. Google Analytics). SVP and Co-founder Duff Anderson says combining what people say (surveys) with what they do (web site behavior) results in better decisions — like targeting visitors that show signs of distress, or those that are the best prospects for marketing outreach. 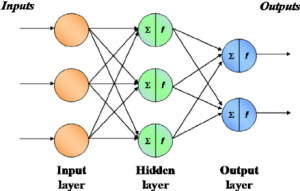 Anderson says advances in processing power has made machine learning and other statistical techniques more feasible in near real-time. Confirmit, one of the largest EFM players, already makes use of advanced analytics (e.g. predictive, machine learning). According to CEO Ken Østreng, the company uses cluster analysis and correlation/regression to develop “key driver” charts, and will be investing in deep learning techniques to bring new solutions to market to derive actionable insight and foster change. Marketing and sales leaders, this opportunity is for you! AI-powered apps can help customers help themselves while independently working through their buying process. But it can also help sales professionals engage more effectively when the time is right. Let’s start in the marketing realm with personalization. I’ve written previously about how ChainReactionCyles.com — the world’s largest online bike store — used Qubit to apply real-time customization to repeat customers. Qubit’s technology updates segments in real-time, based on changes in visitor behavior or preferences. A similar solution is offered by startup Optimove, according to founder/CEO Pini Yakuel. The goal is to help enable more “emotionally intelligent conversations” by constantly adapting to changes in customer behavior. 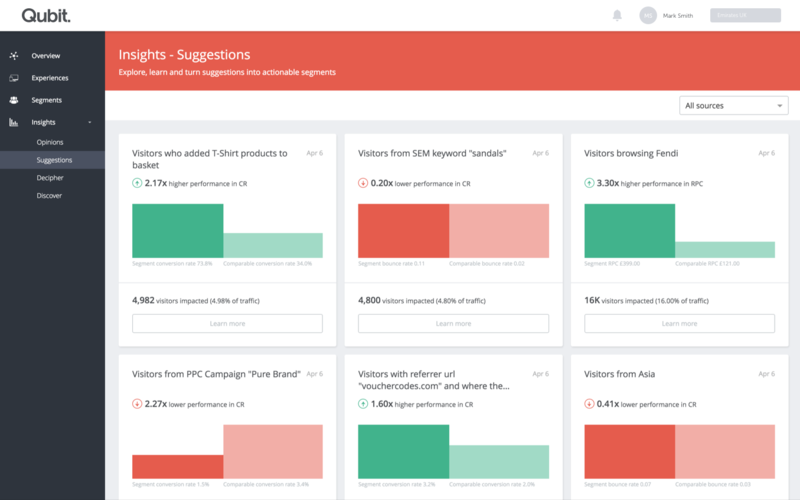 Peek under the hood and you’ll find cluster analysis and machine learning, with help from a marketing optimization bot, making it possible to send hundreds of micro campaigns per day and assess the ROI. That should be a welcome relief from “spray and pray” marketing campaigns that still seems the norm, despite massive investments in marketing automation. In the B2B world, marketing automation systems are getting smarter with help from predictive analytics. In 2013, I fearlessly predicted Predictive Analytics is the Future of B2B Digital Marketing, because humans aren’t very good at scoring leads. Taking into account a wide variety of behavioral and demographic data, predictive lead scoring can be a win for customers (fewer and better engagements) and sales reps (prospects worth spending time with). B2B sales is getting tougher, because buyers tend to self educate and engage later. 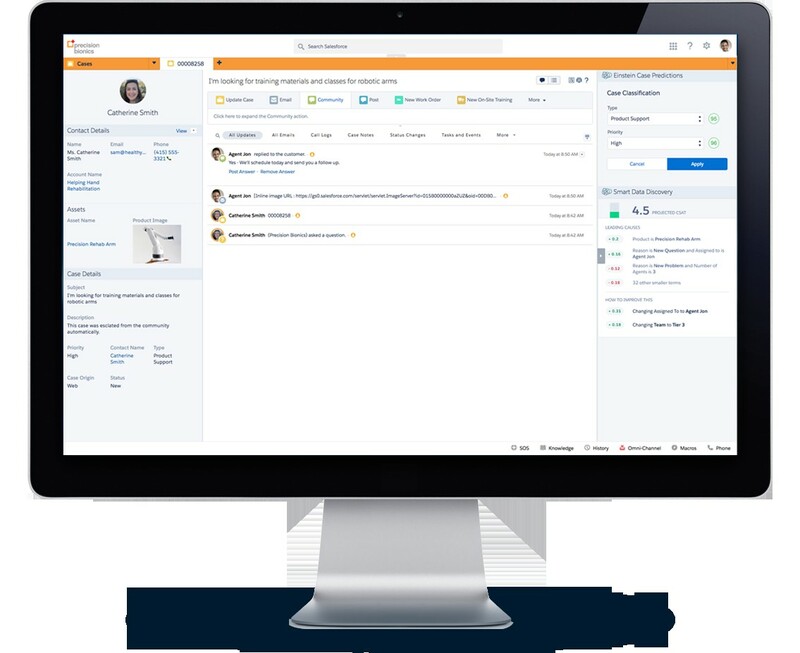 To make those precious sales calls count, Gong connects with popular web conference systems like GoToMeeting or WebEx (teleconference to come later this year), records the audio, translates into text, and in a few minutes analyzes calls and highlights improvement opportunities. Like reps talking too much or discussing pricing too early in the call. AI can also help reps be more productive working with their favorite CRM, which could have an indirect benefit to the buyer’s experience. Meet Zia, a new “AI-powered sales assistant” offered by Zoho. Founder and chief evangelist Raju Vegesna says Zia uses CRM historical data to recommend when to follow up with a prospect, the best time to call, and even suggests workflow automation based on usage. Another CRM vendor Insightly showed me a NLP-powered chatbot under development. Reps interact via a Slack bot to search for contacts, update deal status, or add tasks. The contact center is rich with opportunities. Lots of data, lots of interactions, and lots of ways to improve the experience. Not all of them involve bots. Let’s start with calls, shall we? Last year, in my article The Rise of Predictive Experiences, I wrote about how Discover Financial Services used analytics to predict with 86% accuracy that an incoming call was about a payment. A new process reduced unnecessary steps through authentication, skipped the IVR, and routed to a dedicated payments team that was ready and prepared to help. Result: lower churn. Finding the “best” agent to help a customer is a great application for advanced analytics. Masergy, a provider of hybrid networking and cloud contact center solutions, uses machine learning to route calls to the right agent. Dean Manzoori, VP of Product Management for UCaaS, says algorithms can consider agent satisfaction ratings, caller history, customer value and other factors in making the routing decision. Getting a call to the right agent is good, helping the agent excel in how the customer’s request is handled is even better. Salesforce.com recently announced Service Cloud Einstein, including AI-powered case management. In the example on the right, notice the case predictions concerning classification, priority, products, issues, etc. If the agent agrees with those recommendation and applies them, or doesn’t, that feeds into a machine learning loop to improve predictions over time. OK, let’s be honest, the real heat in the AI world is all about bots, sometimes called digital or virtual assistants. The reason is simple and compelling: call deflection. If a customer can help themselves and avoid a phone call, that’s can save a lot of money and — if the service experience is well designed — result in happier customers. We’ve had self-service for at least two decades, so what is the new news? A more usable, natural language-based search is one way to get customers to stop reaching for the phone. Visit the help function at TicketMaster.com and you’ll see normal-looking search box. 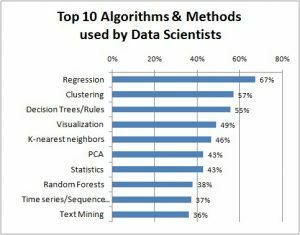 But if you type a question, “AI-fueled natural language search” from InBenta works to bring up a list of the most relevant answers. Founder/CEO Jordi Torras says they can achieve 90% self-service success using machine learning based on answers to “Was this answer helpful?” and whether further contact was required. 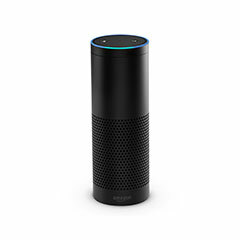 For all of Alexa’s charm, like most bots it doesn’t support a dialog over time, where previous interactions affect how it responds. Instead of series of independent Q&As, bots should enable a real conversation, asserts Tony Lorentzen, VP & GM, OnDemand Business for Nuance. The company recently announced that its Nina chatbot supports a more lifelike dialog, including text messaging. You can see a simple pizza ordering example on the right, courtesy of Domino’s Australia. Rajeev Shrivastava, Chief Strategy Officer at InContact, doesn’t see bots replacing humans. Rather, AI should be used to make routine transactions faster and make it easy to transfer to agent-assisted support. AI should be used to give agents better support when they engage, thus enhancing both the customer and agent experience. This is a key point. Instead of looking for bots to replace humans, start first with simple activities that consume time and resources. A good example of this KISS principle is Real-Time Authentication, offered by NICE (which acquired InContact in 2016). Using the customer’s voice print and some pretty complicated software, the typical “20 questions” authentication routine can be eliminated. To avoid the past pratfalls of shiny object syndrome, I advocate looking at opportunities with a CX frame: How can you improve customer experiences (what they perceive) and also drive business outcomes like efficiency and revenue growth. To that end, I’ll wrap up with some advice on how to profit from the iCXM opportunities outlined in this article. 1. Start with a designed experience. It’s easy to get excited and implement a chatbot with the hope that customers will love it and stop calling. But that chatbot dialog is an experience that should be designed, says Josh Sutton, Global Head, Data & Artificial Intelligence at Publicis.Sapient. For example, what kind of personality should your bot exhibit? Sutton says some companies are actually hiring script writers to support the intended voice/tone. 2. Don’t focus just on self-service. In some cases (e.g. complex B2B) you could be better off using AI to make CRM applications more useful to employees, so they can deliver better experiences to customers. Improving the employee experience can also increase retention and employee loyalty. 3. Be honest. Bots will get better and better, and branding them is just fine. But don’t make the mistake of attempting to deceive your customers that they are interacting with a human. CX experts unanimously agree that doing so will destroy trust, and the blowback on social media will be huge. 4. Make sure you’ve got enough data. Lots of data is needed to train AI to deliver useful results. At outsource provider FCR, Jeremy Watkin investigated chatbots for a client, hoping to automate interactions. The pilot was abandoned when they found out thousands of interactions would be needed to train the bot, far beyond the client’s volume. 5. Prepare to experiment. AI is a collection of technologies, some of them still in an an early stage. This is a great opportunity to experiment and innovate. The Domino’s bot mentioned earlier is not perfect — it couldn’t understand misspellings and apparently no one in Australia eats mushrooms! But it’s a good example of a big brand willing to take some risks and see what happens. I really believe that iCXM can be a huge success, if you follow the advice of the late Steve Jobs: “You’ve got to start with the customer experience and work back toward the technology – not the other way around.” Good luck! Disclosure: Examples in this article were drawn from discussions I’ve had with vendors who reached out to me in the past few weeks with briefing requests. They are not necessarily representative of all the industry activity nor should vendor mentions be considered an endorsement. Some vendors discussed have been sponsors of CustomerThink. It justifies the time spent reading such a long article; you simplify sophisticated things making them easier for us to digest. A great article with great insights! Thank you, Bob. This is a great explanation of what artificial intelligence can do for the customer experience field, Bob. A huge caution for AI enthusiasts is to beware defining customer experience too narrowly. CX is not equal to support. CX is not equal to engagement. CX is not equal to interactions. It’s much broader than those three or their combination. If your CXM is equal to any of the above, you’ll always be a day late and a dollar short when it comes to your customer base’s satisfaction and your CXM ROI. A genuine customer experience strategy must address the end-to-end customer life cycle and experience journey: What is: Customer Experience Strategy? And as awesome as AI can make support, engagement, and interactions, it will be either hampered or perfected by what’s going on with your people way behind the customer touch-points: What is: Walking the Customer Experience Talk? As much as we want all our challenges to be solved by technology, it’s like everything else in life. The people behind it establish context, policies, processes, handoffs, performance standards, accountability, agility, products, services, business models, alliances, etc. These things cannot be understated in their role in the overall customer experience! I could also say “desired” or “intended” experience. We’ve seen that starting with tech didn’t end well for CRM, which became defined by the use of technology to automate. All that said, AI is a tool that in the right hands it can be used to improve experiences. My article was intended to illustrate the possibilities. This is a great analysis of what artificial knowledge can do for the client experience field, Bob. A huge warning for AI followers is to beware defining customer occurrence too narrowly. CX is not according to support. CX is not similar to skirmish. CX is not equal to communications. It’s important broader than the three or their federation.